Remember the old canard about "my dog ate my homework"? If the photo at right is any indication I don't think that excuse will be going away in the digital age. Travis Jonker, an elementary school librarian in Michigan, posted this photo of a former Nook on his blog today. This device was brought in by a student, who had checked out the device and taken it home. Travis' school has been lending ereaders from the library for the past year. 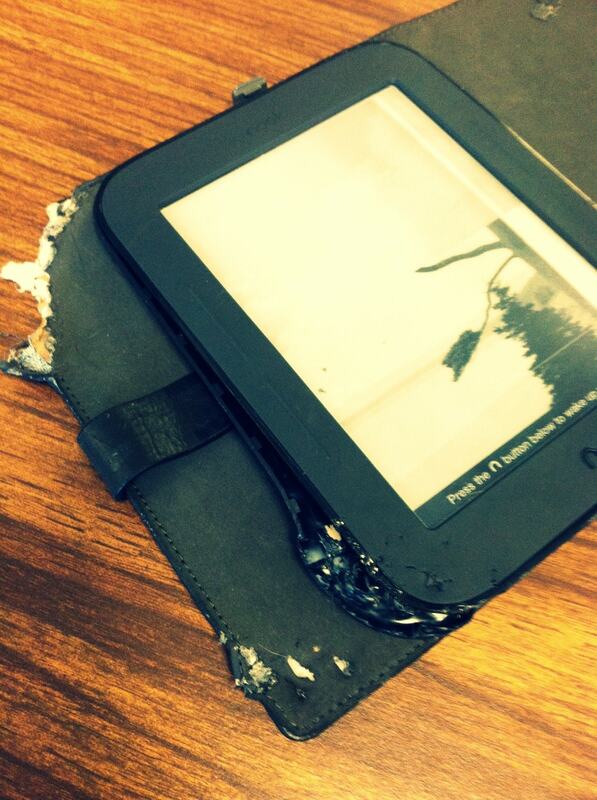 When he started that program he never expected to have an ereader be returned in this condition. A cracked screen, a scraped casing, or a drowned ereader, sure. But a Nook used as a chew toy? That's something else. Even the dog knows that a Nook is a piece of s—! Buy a Kindle as it will be around a lot longer as Barnes & Noble will be gone in a year or two.